You are here: Home › Insulation Blog › Insulation Topics › Twin Cities Insulation Contractors | Anytime is the right time to insulate your home! While the initial costs of installing insulation into one’s home may seem expensive, home insulation provides numerous significant benefits. Insulation is cost effective, creates a more comfortable environment, decreases noise pollution, and is better for the environment. In this blog, the Twin Cities Contractors at Century Insulation Minneapolis will help elaborate on the benefits of installing insulation in your Twin Cities Minnesota home. Twin Cities Insulation Contractors | Insulate your home anytime! Installing insulation into a home is an investment. The initial costs may seem expensive, but in the long term, one will save money as a result of the drastically decreased monthly electricity usage. Especially in the summer and winter, an insulated home can keep the house cooler or warmer resulting in a decreased need for heating or air conditioning in your Twin Cities house. Eventually, the resulting savings will pay for the cost of the insulation. Given that home insulation can help maintain a more constant room temperature in one’s house, it can make a home more comfortable. This is especially important to those living in climates where the weather fluctuates. Insulation also decreases noise pollution. This is especially important if one is living in a city or near an airport. Outside noise can lead to immense disruption in one’s work life and leisure time alike. Insulating one’s house is better for the environment. In the United States of America, we use an incredible amount of electricity in our daily lives. According to the Energy Information Administration, the average residential monthly electric bill was over one hundred and ten dollars. In the United States, electricity generation is one of the leading sources of greenhouse gas emissions. Our overuse of electricity has a detrimental impact on the environment and it is our duty to find simple ways to reduce our electricity use. Simply installing insulation into one’s home is a simple and affordable way to benefit the environment. So for you to make your home livable and comfortable through the long winter months and humid summer months in Minnesota, make sure to budget and prepare for a one time home insulation project so you can be comfortable for years to come in your Twin Cities home. Not only that, you will be saving on your energy bills every single month because you will not have overuse your HVAC system anymore. If anyone were to conduct a survey asking people if they would accept an offer that would allow them to save money, have a more comfortable and tranquil home environment, and improve the environment, I would find it difficult to imagine that less than 9 out of 10 people would accept this offer. From an economic, environmental, and practical perspective, installing insulation into one’s home is a no-brainer. By hiring us and investing in your Minneapolis St Paul MN home insulation, you will be making great savings in the long run! By having your walls, ceilings, floors or attic insulation MN performed – you will be saving money on air conditioning and heating bills for years to come. Imagine all the things you could do with the extra savings! So don’t hesitate and call the Twin Cities Insulation Contractors at Century Insulation Minneapolis for all your residential and commercial insulation needs in Minnesota. Our team of Local Insulation Contractors MN are highly skilled insulation installers who have years of experience in spray foam insulation installation, cellulose insulation installation and fiberglass insulation installation. 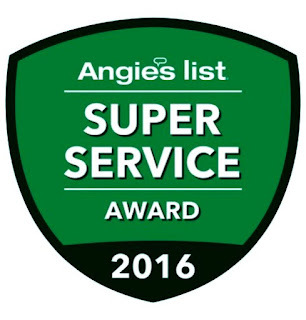 Our reliable Minneapolis insulation contractors will not disappoint with their excellent customer service! Call us at 763-270-8765 for a free estimate for your home attic insulation or spray foam insulation project!